Great picture, although something about it makes it feel slightly sinister. What an interesting card. Love the text! Murial sounds quite jolly hockey sticks. 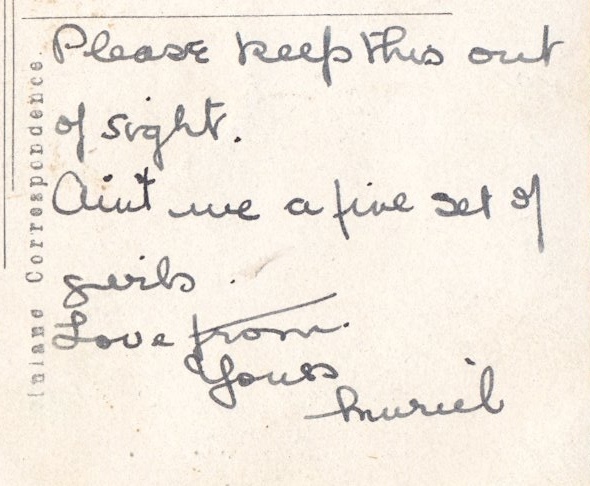 In today's world she could have put an emoticon on the end of 'aint we a fine set of girls'. 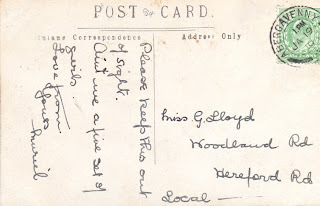 What a darling postcard! I LOVE what she wrote on the back. Happy PFF! 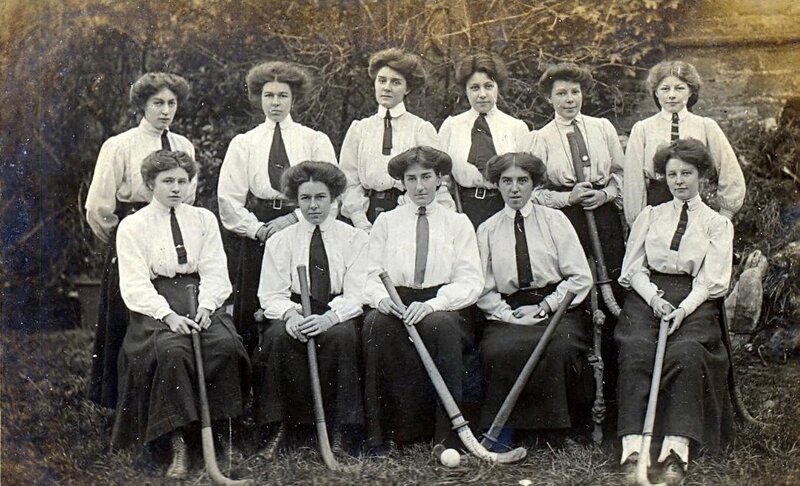 It looks as though they had a regulation hair do as well as a uniform. 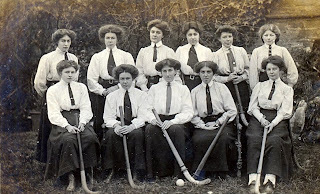 Muriel is second from the right on the back row - the only one with a sense of humour. What about the kind of messages that say something interesting and/or informative? My guess is the team was undefeated. I wouldn't take them on. 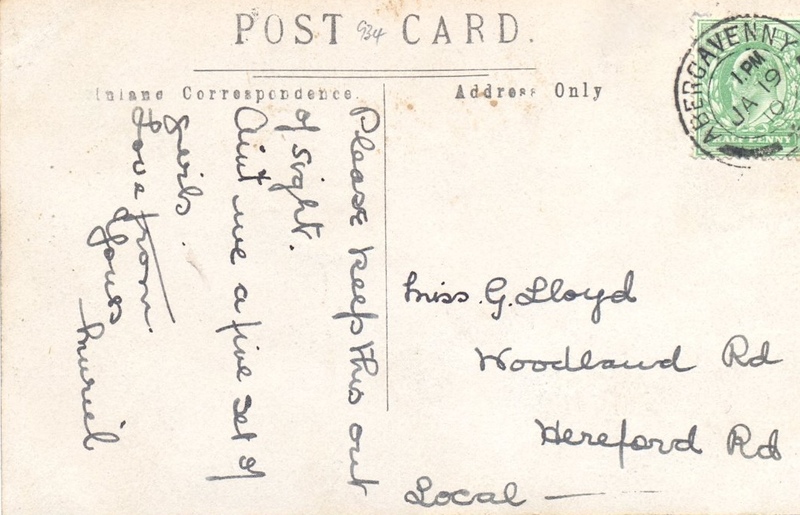 Anyone ever wonder how people in Victorian times felt about their postcard messages being soooo public? Can't keep a secret that way. 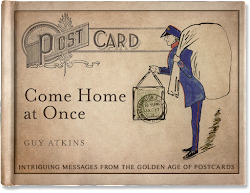 Of course, by the time the recipient gets the postcard, the secret's already been exposed; no use keeping it under wraps. That is a wonderful postcard! lol Especially, when you think they probably never dreamed of their picture or message being shot out over the world one day through the internet.